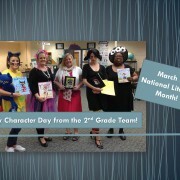 https://wjccschools.org/ll/wp-content/uploads/sites/12/2015/03/Grade-2-Character-Day-3.27.15.jpg 720 960 Karen Swann http://wjccschools.org/rb/wp-content/uploads/sites/12/2014/05/logo.png Karen Swann2015-03-27 11:57:382015-03-27 11:57:38Look at These Characters! 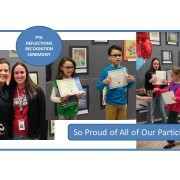 https://wjccschools.org/ll/wp-content/uploads/sites/12/2015/03/THANKS-FOR-SUPPORTING-OUR-BOOK-FAIR2.jpg 720 960 Karen Swann http://wjccschools.org/rb/wp-content/uploads/sites/12/2014/05/logo.png Karen Swann2015-03-23 17:24:542015-03-23 17:24:54Thank You for Supporting Our Book Fair! 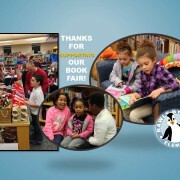 https://wjccschools.org/ll/wp-content/uploads/sites/12/2015/03/THANKS-FOR-SUPPORTING-OUR-BOOK-FAIR3.jpg 720 960 Karen Swann http://wjccschools.org/rb/wp-content/uploads/sites/12/2014/05/logo.png Karen Swann2015-03-23 17:13:272015-03-23 17:27:16Thanks for Supporting Our Book Fair! We realize there is still snow on the ground and the second semester recently started; however, we are less than 18 weeks from the academic year ending. 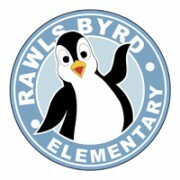 Standards of Learning (SOL) testing at Rawls Byrd Elementary School will be from May 12 – 29. These tests will be administered on computers in an online test session at our school, with a modified schedule for classes to ensure positive testing conditions. Students in Grades 3-5 participate in these tests, and we will provide additional information as we approach the testing window. It is important that your student be in attendance for the tests he/she will be taking. Please encourage your student to be on time and in school daily in order to help prepare them for these assessments. To learn more information about these tests, you may go online and visit the Virginia Department of Education website (www.doe.virginia.gov). 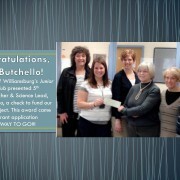 Thank you so much for taking note of these dates shared and helping us support your child’s success! It’s March! While our second semester has had a bit of a rough start with the instructional days missed due to inclement weather, it is hoped that your days off were enjoyed. I cannot stress how wonderful it is having our staff and students back in school. As a result of the days missed, 11 minutes have been added to our school day. For the remainder of the academic year, the operating hours will be 9:15 a.m. to 4:01 p.m. Students will be marked tardy who arrive after 9:25 a.m. Our morning drop off and breakfast times are now 9:05 a.m. This Sunday, March 8th, Daylight Savings Time begins and we will turn our clocks ahead. It will be a treat to have the additional hour of daylight, as well as warmer weather. March is National Reading Month, and Rawls Byrd kicked off its celebration with some fun activities in honor of Dr. Seuss’ birthday that will continue throughout the month. Next week (March 9-13), we will have the Scholastic Book Fair in the Media Center for our entire learning community to enjoy. Please look for brochures and details to come home Monday of next week (March 9, 2015). 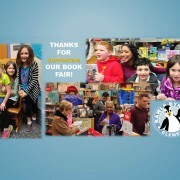 Friday, March 13th, is Family Night in the Media Center; the book fair will be open from 6:00 â 8:00 PM for any families who were unable to make it out earlier in the week. The March habit from The 7 Habits of Happy Kids is Synergize: Together is Better. In the chapter The Big Bad Badgers, the 7 Oaks gang learns the value of playing together as a team and capitalizing on each other’s strengths to defeat the Big Bad Badgers in a soccer game. Collaborating is an important 21st Century skill and one that has far reaching implications beyond the sports team and the classroom. At school students often work together with a learning partner or in a small group to complete a task or solve a problem. This engages all students in their learning and provides opportunities for students to learn to get along with and learn from others. Cooperative work yields great results, and remember: Together Everyone Achieves More! 5th Interim Period (Grades 3 â 5) | Teachers will ensure grades are uploaded to VUE no later than Thursday, March 12th. This will allow them to collect grades missed during from snow days. Please do not hesitate to contact me at (757) 229 â 7597 or at karen.swann@wjccschools.org with any questions, concerns or feedback you would like to share.